The special occasion is around the corner and every dutiful daughter or son is already thronging the Internet which is flooded with a lot of ideas. But, the recommended Mother’s Day gift idea 2018 presented here is everything that you will ever need to make the day special, and memorable. Believe us, your mom will definitely cherish it for a long time to come. 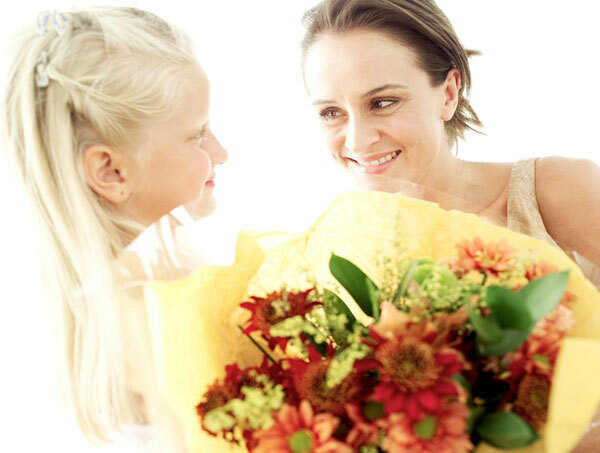 No matter you send her a gift or not, a warm message is indispensable in Mother’s Day. Just bravely express your love to her and she will be delighted while receiving the message. If you have no any idea about the contents of the message, you can refer to these Mother’s Day messages. And after sending the message, we would like to suggest you to backup this meaningful text with MobiKin Assistant for iOS ? (free) or Mobikin Assistant for Android since this message can be a memory in future. Anyone can barge into a shop or look online to order a gift that will reach her in time. But, personalization matters a lot. A lot of gift ideas fall under this category but it takes some time and effort. If you are a last minute shopper, consider ignoring this step. You can take a collection of pictures of your mom throughout the years and make a collage album. She’s going to simply adore it. Words can help convey a lot of emotions. They come in handy on Mother’s Day but you may have to plan a bit earlier. Consider buying a coffee mug with the text “You are world’s best mum” and printed on it. You can also try similar printed T-shirts, sweaters or personalized greeting cards. Except for that, posters are also great to adorn her walls. Get custom printed ones if she loves posters or wall hangings. Gift cards are sold in handy so that your mom can have complete freedom to shop for things that she may actually need or desire. Just bring it to her in person or send an e-card so that she could redeem voucher at a store she likes to. Choosing a beauty kit is purely based on your mother’s attitude and nature. Most women like it and you can buy branded ones which she may not usually go for, intimidated by her growing age. Help her feel young again. Books are plenty and eBooks are growing even faster. You can consider buying her a book that you believe that she might enjoy or a box set of her favorite novels. It could even be about living after retirement, cookery, fashion or any topic your mom loves. Usually, these are last minute options. Instead of making one day special, consider making every day special for her. An annual membership card to a store, a cookery class, a designing course or maybe a bunch of movies would definitely is a significant contribution in keeping her smiling for many months. Spending an evening out is definitely the best experience and the most memorable of them all. Instead of going with conventional top 10 recommended mother’s day gift idea 2018, you can go on a date with her. Consider taking your siblings and father along so that it is an evening of festivity in a stage performance or a foot tapping concert. If your mom is fond of watching movies, you can select a high-rated Mother’s Day movie like Lady Bird and then download it on your phone or computer and see it with your mom. And certainly, it would be better to take your mom to cinema to watch a newly released film she likes. Your company must be her best present. It might sound like a cliché at first but chocolates continue to be the highest priority for most individuals. One just can’t resist the sweetness that it leaves in their mouth for hours to come and combine them with flowers for the lady, she’s sure to appreciate your effort. Pick the right fragrances and some special chocolates. Making choices is purely based on the character of your mom. If she loves reading on a kindle or playing games on an iPad, a great tablet should surely be on the top of the list. Even a smartphone will do. In the other scenario, for a different person device like foot massages, hair dryers or a leather single seated sofa are amazing choices. She’s going to love resting whenever she’s about to read or relax her mind. – If you mother is using an Android phone, you can select MobiKin Doctor for Android as Mother’s Day present. – If she uses an iPhone, you can send her the MobiKin Doctor for iOS. These two tools can help her to restore the lost phone data effectively. And what’s more important, they are easy to operate so she doesn’t need to spend a lot of time to learn it. Finding a great gift for your dear mom is not so difficult because your instincts will lead you to the right one. After all, you have known her ever since your childhood and you know her expectations much better than anyone else. Follow the suggestions made here and customize the gifts that you choose for her, the way she usually likes it. Have a wonderful Mother’s Day!